Emmanuel Raju established the Sherlie Children’s Home in July 2011 and now serves over 60 children who lost one or both parents and need a place to live. The home cares for the neediest children in the district. A permanent facility was constructed in 2015. The new facility was upgraded in 2016 with a security wall, a separate area for cooking and more space for each child. We provide their food, take care of medical expenses, toiletries, rent, electricity, gas and water, staff salaries and transportation costs. 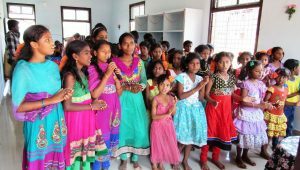 Founded in 1996 as a government-registered youth orphanage for boys and girls, Apna Sahara is located in Talab Katta, a semi-slum area of Hyderabad, India. 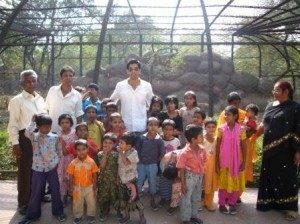 That same year, Shahzad Khan started a charitable initiative with the mission of making Apna Sahara a more sustainable and nourishing environment for its children. Recently, the charitable initiative started by Shahzad has expanded its focus to include providing the children of Apna Sahara with the quality education needed to break out of a cycle of poverty and become self-sufficient. 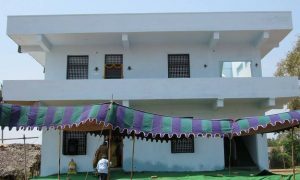 In the spring of 2010, Apna Sahara was transformed into a full-time primary school and home for its 40 boys and girls. Calcutta Foundation Orchestra, started by Fran Caterini, is comprised of young string players from an orphanage, Oxford Mission. In 2000, Children’s Fund began working with the Calcutta Foundation Orchestra through donor advised grants providing training and financial aid for thirty young men from the Oxford Mission. These orphaned youth were trained in classical western music while in the orphanage. These musicians are given financial assistance to work with the orchestra and get further music instruction.